We have been in Phuket for almost a month and I spent every waking moment with Athena and Darren during this trip. It’s not complaint, we’ve had some of the best days of our life in this area and I’ve seen marvelous things, but today I took a “Me Day” at Outrigger Laguna Phuket Beach Resort. I read by the pool, I took a painting class, I went to the spa and I walked barefoot in the sand at sunset. I love my family and I work hard to create a schedule that fits all of our wants and desires, and one of my wants was a day to myself. 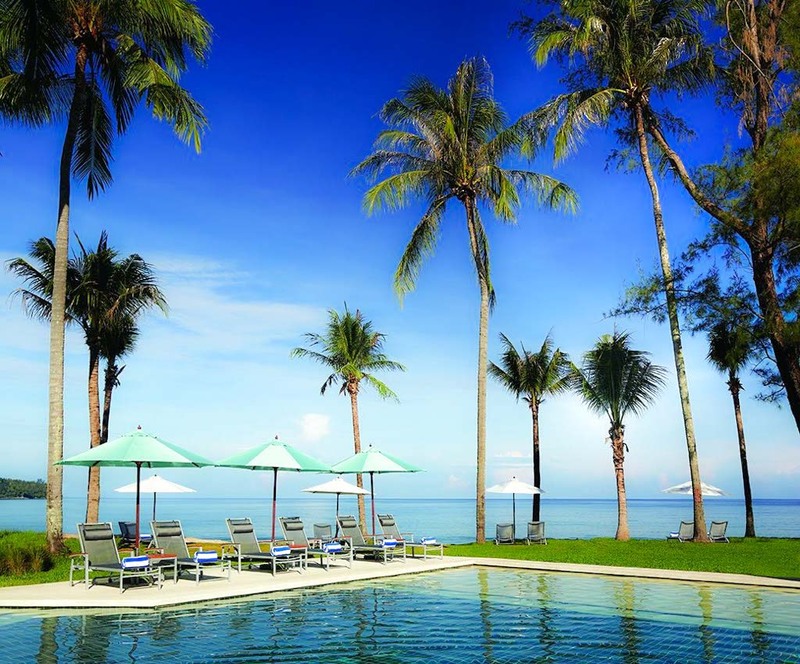 Outrigger Laguna Phuket Beach Resort was the ideal place to make that a reality. After an early lunch today, I dropped Athena off at the kids club and took advantage of the nanny service at the hotel. With a full day of scheduled activities at the kids club and access to the entire resort, I knew she’d be find with the nanny and she’d have a good day. Darren went on his way and I went on mine. It wasn’t that we ignored each other all day; I just had my plans and he had his. My only real decision of the afternoon was which pool lounge chair I wanted to sit on for hours of reading and relaxing. I chose the upper pool that’s closer to the lobby. It appeared to be more of an adult section and away from the water slide. It was a magnificent choice with both shade and sunshine options and poolside drink service. I read my new Mitch Albom book and stayed there for almost two hours. The sun was shining down on the beach and the sand was calling my name so I took a stroll before heading to my painting class. Only a few people were swimming and a couple more were on jet skies. The waves were crashing on the shore, creating that perfect “whoosh” sound that is my favorite music. I didn’t even bother wearing shoes all day. I love that it’s an option at Outrigger Laguna Phuket. There is really no point where you have to have them on. I bet I could even go to dinner without them. I signed up for the t-shirt Batik painting class at The Club. After trying the family class at another resort in Phuket, I wanted to do it again. It’s great for beginners and a way to mindlessly enjoy the afternoon. I chose a fish scene and a kid’s t-shirt so I could give it to Athena. I enjoyed the family class but doing it myself was so much easier. I didn’t need to worry about pleasing anyone else. I could just pick the colors I liked and try mixing different shades. A few other guests participated as well but I didn’t socialize much. I sat in my seat with my bare feet on the cool floor and soaked up the light breeze blowing in through the open passageways in The Club. 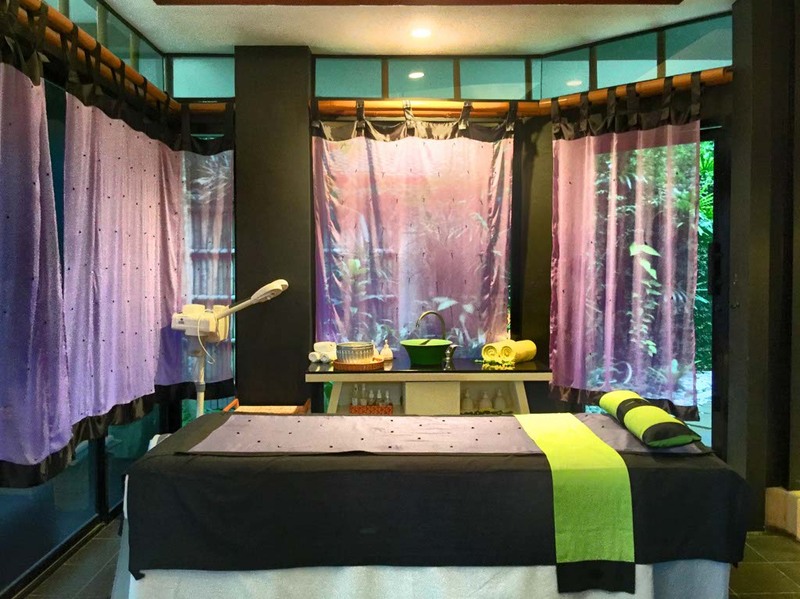 If I wasn’t already relaxed enough, my next stop was Angsana Spa. Again, I was faced with a difficult decision – which type of massage did I want? After only a few seconds of looking at the menu, I chose the Conditioning Massage. It was a 60-minute treatment performed with a generous coat of moisture-boosting body conditioner that pampers and nourishes your skin. I’ve been in the sun every day since I arrived and it seemed like the best way to treat my dry skin. I chose light pressure for the maximum amount of relaxation and it worked like a charm. I left feeling rejuvenated. The sun was beginning to set and I took one last stroll on the beach by myself before picking up Athena at the kids club. I looked at all the foot prints in the sand that were reminders of a well-trodden vacation. I love being a mother and a wife, but being good at it requires balance. I don’t have everything figured out but it brings me a lot closer when I have time to reflect on life and everything that I have. 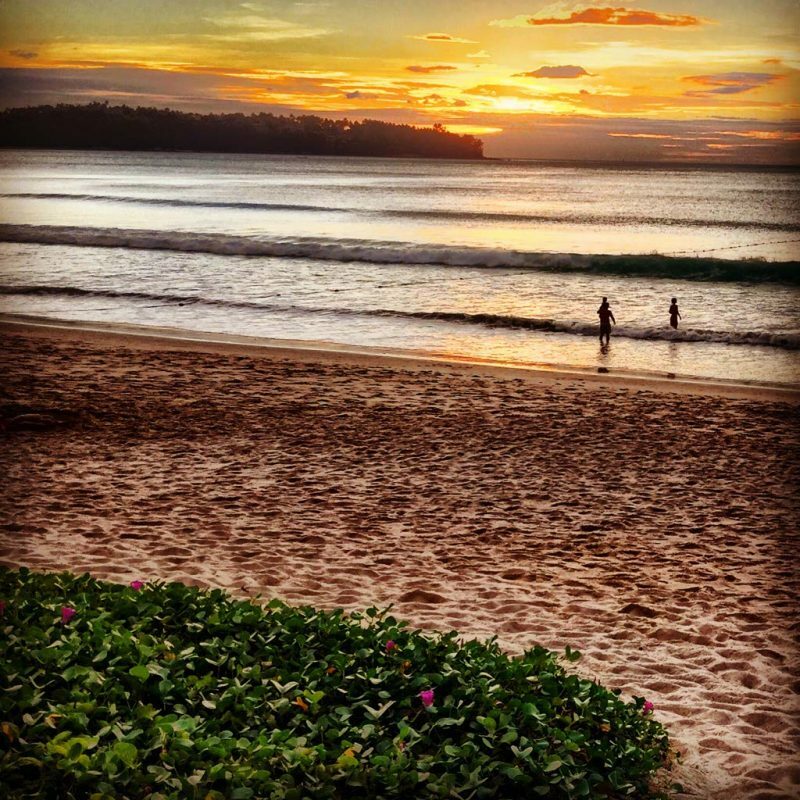 There is nowhere in the world that rivals California for places to live but if I had to choose a close second, it would be right here in Phuket. I picked up Athena feeling prepared for the long journey home. It begins tomorrow. Looks like an amazing relaxing day – how fun! I don’t typically give myself a day alone but know other people who do this regularly. Maybe I should give it a try? Beautiful place to do it. A fantastic decision to have time for yourself! You’re absolutely right, you can’t be a good mother and wife without also taking care of yourself and this type of splurge is needed. 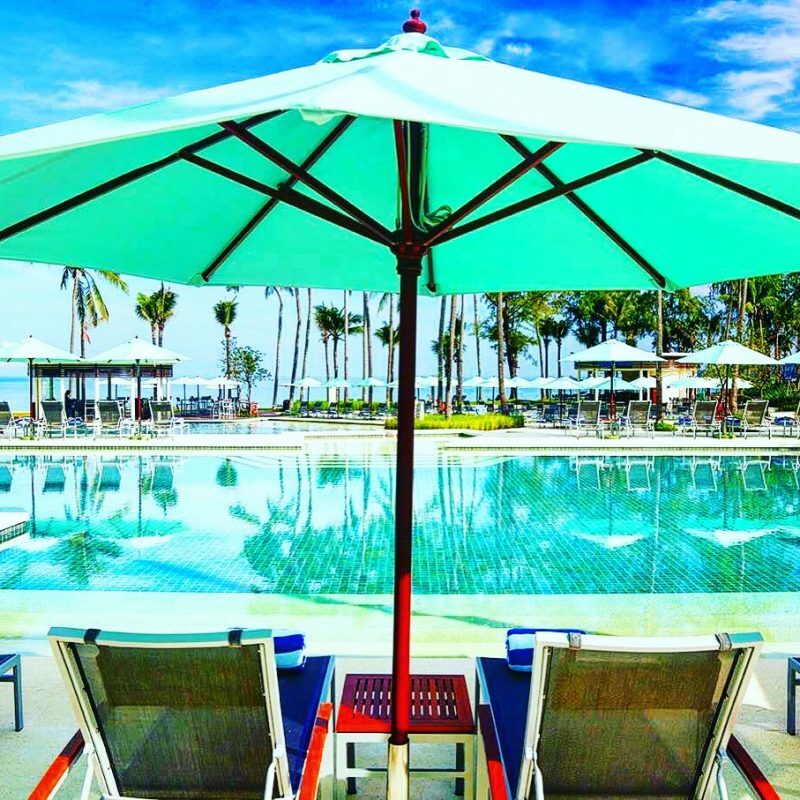 The Outrigger Laguna Phuket Beach Resort sounds like a perfect getaway for all three of you and for many families as well. Sounds like a wonderful day! Everything in life is about balance. It’s difficult when traveling with a family because you do need to be able to take time off, so resorts like these with kids club facilities are great for being able to carve out some “me time” once in a while. I SO applaud you for traveling with your family (Baby B is on it’s way now for us and while I know travel style will change, I sure hope it does not STOP!) However, I think it is SO important to take some “you” time. Kuddos to you and it looks like you had the most perfect day to yourself…kid free! We all need a day of pampering every once in a while. It seems like you had a well deserved one there! Sounds like you achieved a great balanced day that left you refreshed and ready for the trials and tribulations of a travel day. Its good for us all to take time out for ourselves, it benefits all the family members! Sometimes it’s good to have a little time for just yourself. No matter how much you love your family, you need to recharge your batteries once in a while. 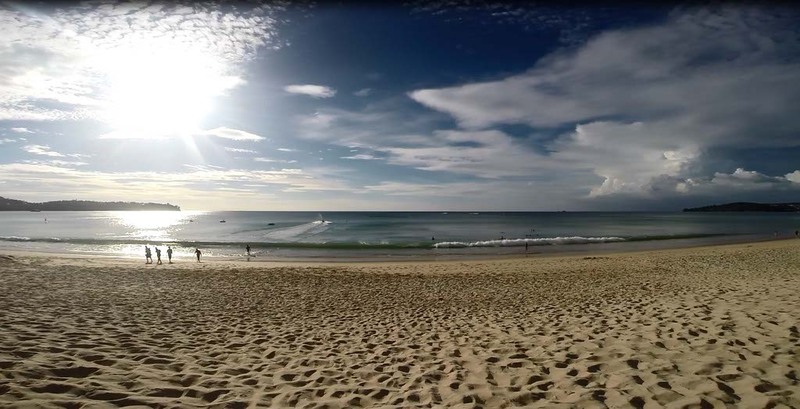 It looks very beautiful in Phuket, but after that horrible tsunami I somehow associate this place with disaster. I’d love to visit it someday. Great pictures! It’s so important to find balance while traveling with your family. Sounds like you had a relaxing and rejuvenating day! Phuket looks stunning!! That looks so beautiful. Great choice to have for the day…where to sit and read, love that!